Where children . . .
Children have an innate sense of the presence of God. Godly Play helps them to explore their faith through story, to gain religious language and to enhance their spiritual experience through wonder and play. 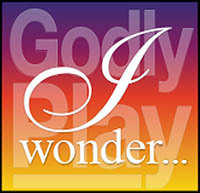 Based on Montessori principles, Godly Play serves children from approximately 3 to 12 years old, and beyond. Godly Play at Holy Trinity Episcopal Church meets Sundays at 10:00 am. For more information, go to the Godly Foundation website at www.godlyplayfoundation.org or contact Alison Talley at Holy Trinity Episcopal Church at HolyTrinity1895@gmail.com or 907-586-3532.